Our ultra-luxurious mohair blend sweater is chunky, funky and marvelous. With a silky soft hand, its deliciously warm - and incredibly glamorous! • Easy-on, Easy off wide neck and sleeves. Mohair Tassle Hat kisses your head & keeps that noggin' warm! 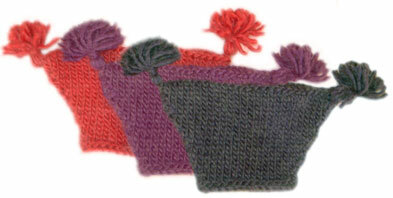 Our Mohair Hand Knit Baby Sweater & Hat Gift Set Set make great baby gifts! Looking for a a creative gift that stands out from the crowd? How about something luscious to wrap her little one in. Our ULTRA Luxurious mohair baby sweater works st a baby shower gift or a for birthday party: Incredible colors in a soft yarn that reflects the light and keeps your baby toasty warm. 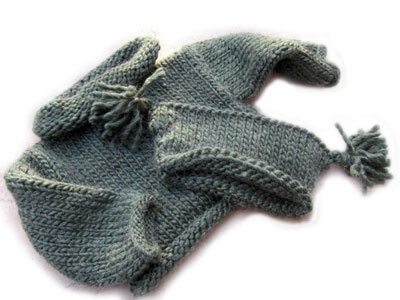 These are available in just sweaters, hats and booties, too!